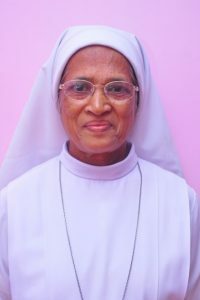 The Sister’s of Lourdes Convent Kanajar established on 31st of May 1963, Currently lead by Rev.Sr Lilly Gonsalves and seven more sisters, Belong’s to the Congregation of the Sisters of the Little Flower of Bethany.Mangalore, (India) founded by Msgr Raymond Francis Camillus Mascarenhas on 16 July 1921, in St Sebastian parish of Bendur in response to the pastoral and educational needs, particularly to be in service of the girl children, women and rural masses of the Diocese of Mangalore and society at large. The outstanding feature of the Congregation is, that it was founded on the Indian soil by an Indian priest, belonging to the Diocese of Mangalore, Karnataka, India with four native lady teachers, Marceline Menezes, Flora Mathias, Alice Mathias and Regina Gertrude Gonsalves. Pastoral Apostolate & educate the rural poor. To Strive towards Harmonious Society. Sisters Attend and arrange for all the masses and decorate the altar on feast days. They are also involved in teaching in the church school as well as catechism in the school and in the parish , visit the famalies.Also conduct Girls Sodality , Altar Boys meeting, Small Christian gathering at wards and also involved in majority of the church organizations to guide the parishioner’s, especially the youth towards building a Harmonious Society.